Photos by Kami April 2010. 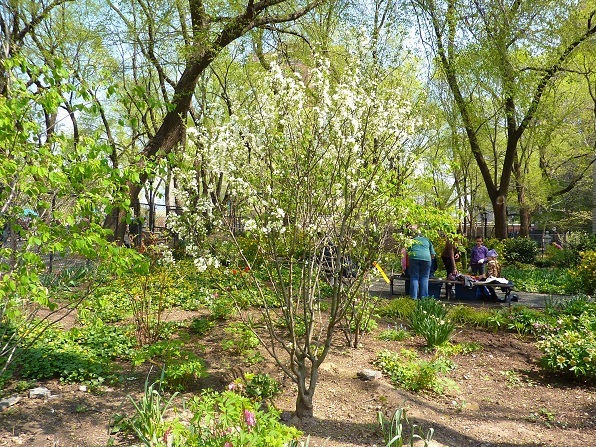 Two white crab apple trees were planted by the Parks Department in the spring of 2010. 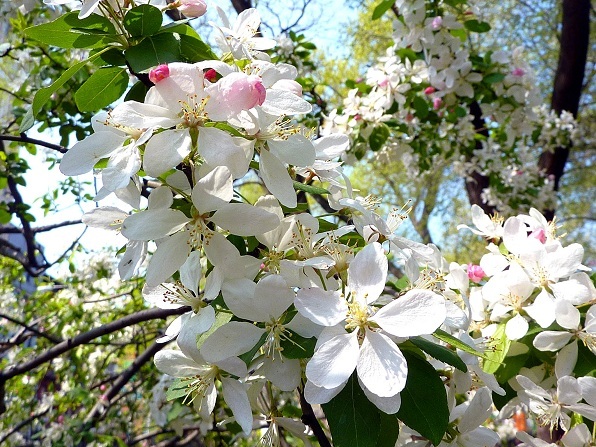 This is their first blossoming.